Christiana Harding (must be sitting). 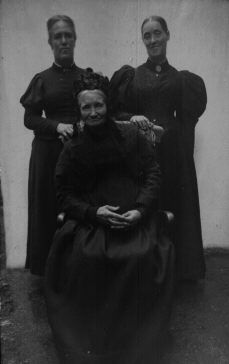 and a grand-aunt (NOT aunt) of Annabella Cashel (not sure on which side of family, must be the one standing on left). Courtesy of Pat Almond. See original (dark). This branch knew the story that "farther back in the family "someone" had been involved in a duel and it was quite messy". In fact it was remembered that it was "around the end of the Napoleonic War", and "there was a massive stink over why [the Cashel] did not hang". This would support the idea that the original Henry of Bushfield was the same as Henry, uncle of Rowan who was in the duel. his line spelt it "Cashel". He is described as "of Bushfield" at mar 1831. He mar June 1831, at Loghill church, Co.Limerick (on the coast, near her house of Rock Lodge, see map) to Christiana Harding [born 1803]. 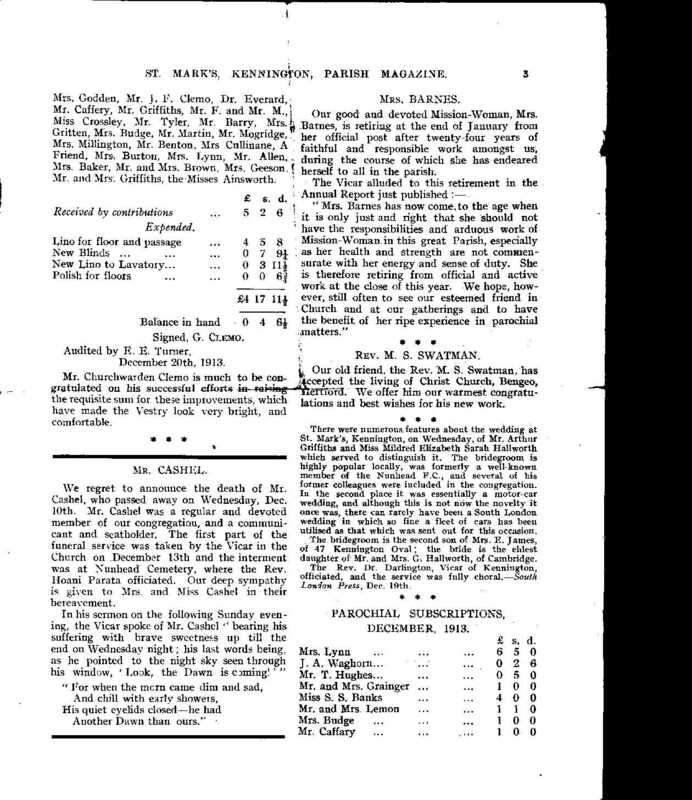 See [Limerick Herald, 12 June 1831] and [Limerick Evening Post, 14 June 1831], NOT 14 July. 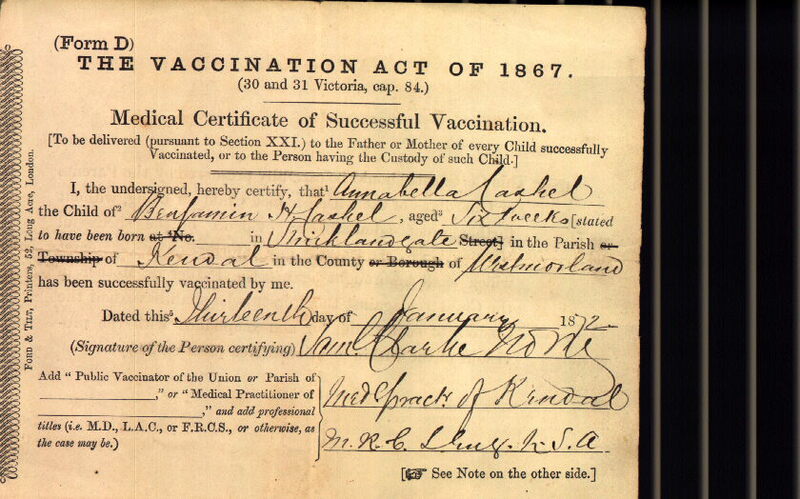 Children born at Rock Lodge, Co.Limerick, or at Sandville, near Limerick. He had left Bushfield by 1837, still owned it, renting it out. The entry for KILMASTULLA in [Lewis, 1837] lists one of the principal seats of Kilmastulla par as "Bushfield, the residence of J. Philips, Esq." The list of subscribers to the publication of [Lewis, 1837] includes "Philips, John, Esq., Bushfield (Killaloe), co Tipperary". 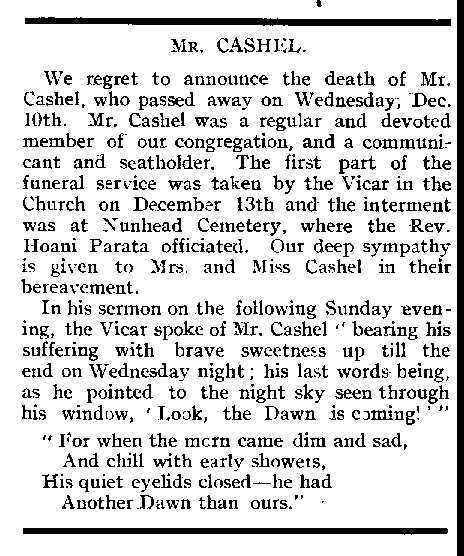 "R. Cashel", of Bushfield, is listed in the "Nobility, Gentry and Clergy" of the Nenagh area in [Slater's Directory, 1846]. Possibly this is just an error for the absent H. Cashel. 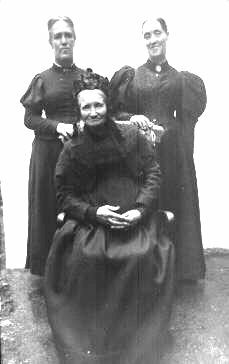 It was thought that around the time of the Famine 1845-50, the Cashel family moved to England. But not all of them: Benjamin was in England by 1871, later lived Scotland. 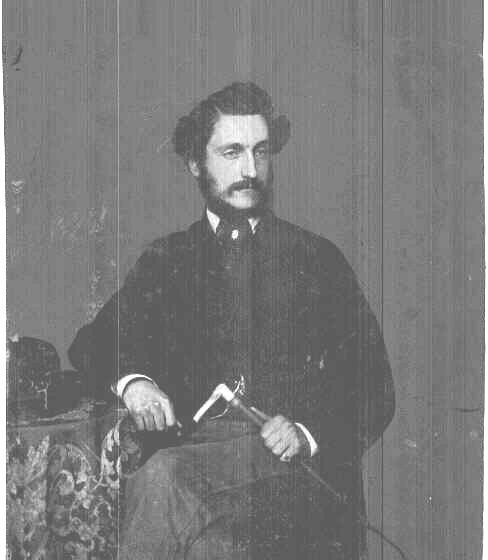 Henry G. is apparently in London 1866, but his widow Christiana died back in Ireland 1885. Douglas still in Ireland 1901, in London by 1913. 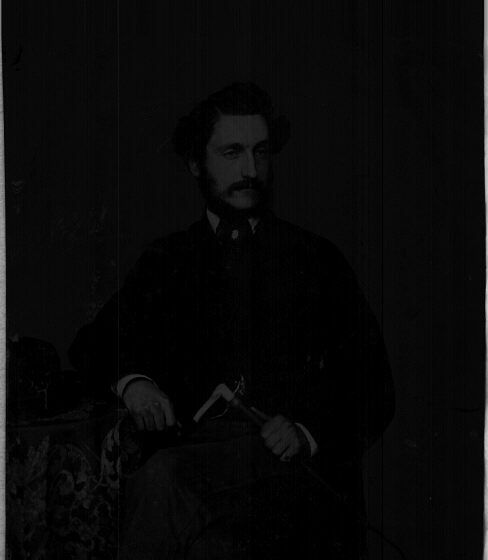 [Griffiths Valuation, c.1850] shows "Henry Cashel" still owning large part of Gortnaskehy, Kilmastulla par, and renting it out. No Cashel in residence. There is one large building, on considerable grounds, occupied by "Henry Phillips", renting from "Henry Cashel". This must be Bushfield house. He is described as "landed proprietor" in his son Benjamin's death cert. 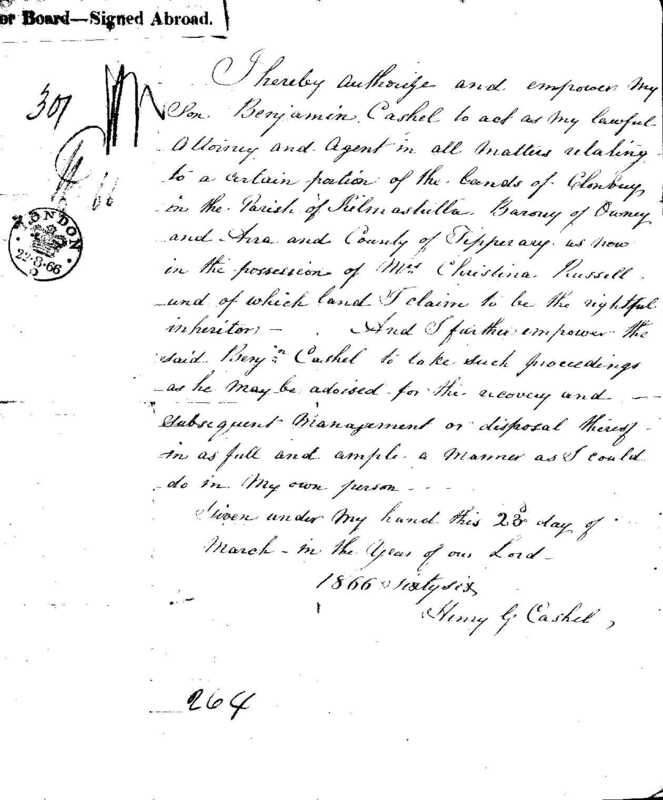 See Power of Attorney from him, 23 Mar 1866 (and full size), stamped in London 22 Mar 1866, authorising his son Benjamin to act on his behalf in relation to land at Clonbuy [unidentified], Kilmastulla par [near Bushfield], N Co.Tipperary, "as now in the possession of Mrs. Christina Russell and of which land I claim to be the rightful inheritor". 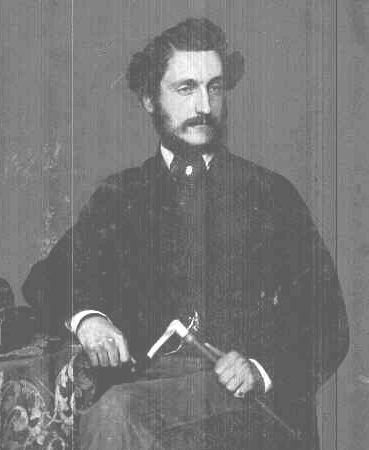 He died soon after 1866. Death not found in [GROI]. 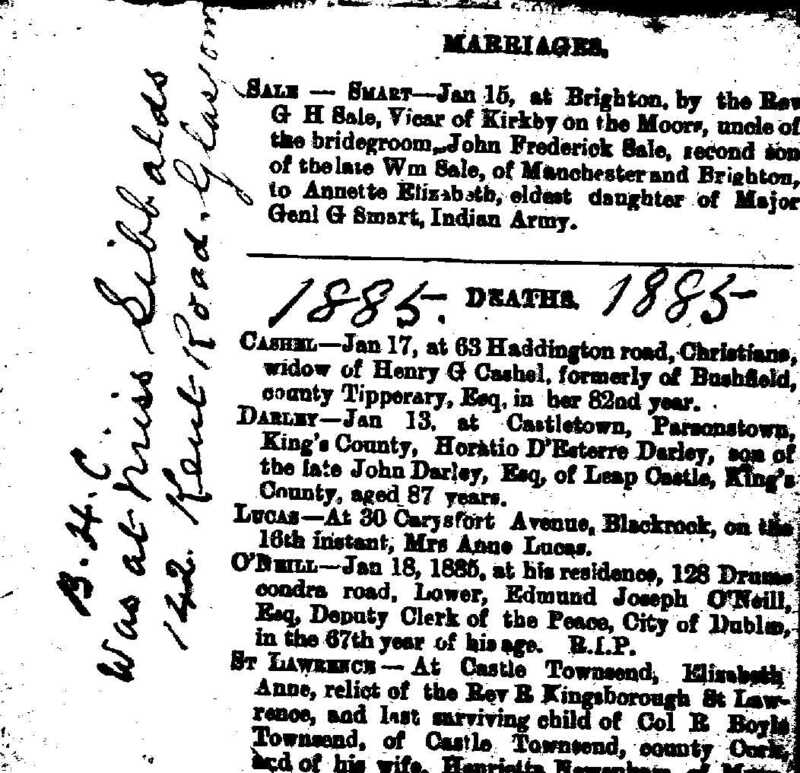 Christiana died 17th Jan 1885, 63 Haddington Rd, Dublin (NOT London), age 82 yrs [GROI]. 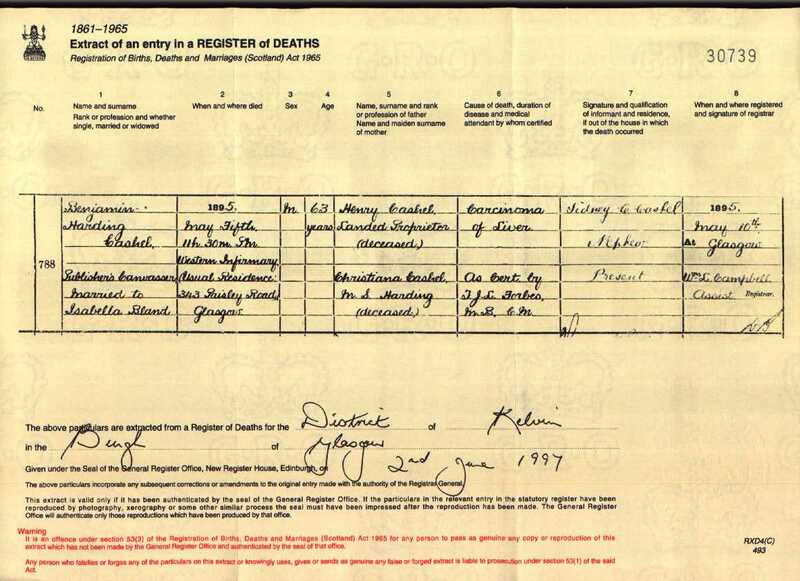 See death notice (and full size) from Irish newspaper (prob. Dublin newspaper). mar 1899, Gateshead, to William Almond and had issue. see [Limerick Chronicle, 4 Jan 1834]. (todo) does her family tree exist? deposited anywhere? Emily died c.1930, age c.61 yrs, (todo) search [GRO.UK]. died 6 Nov 1873, Norman Cottage, Jones' Rd (now beside Croke Park), N Dublin, age 4 months, of "inflammation of the bowels" [GROI]. 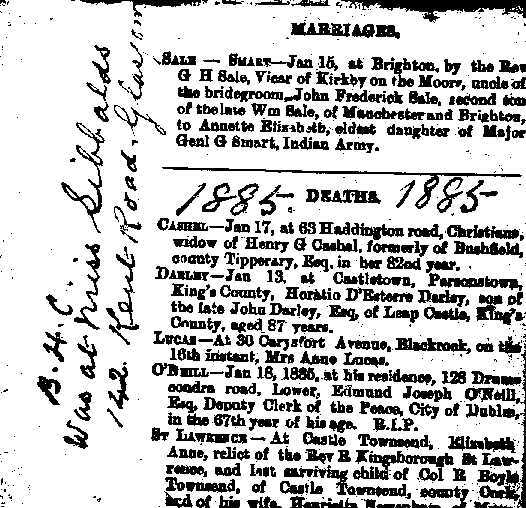 died 22nd Apr 1882, 4 Williamstown Ave, Blackrock, Co.Dublin, age 17 yrs [GROI]. 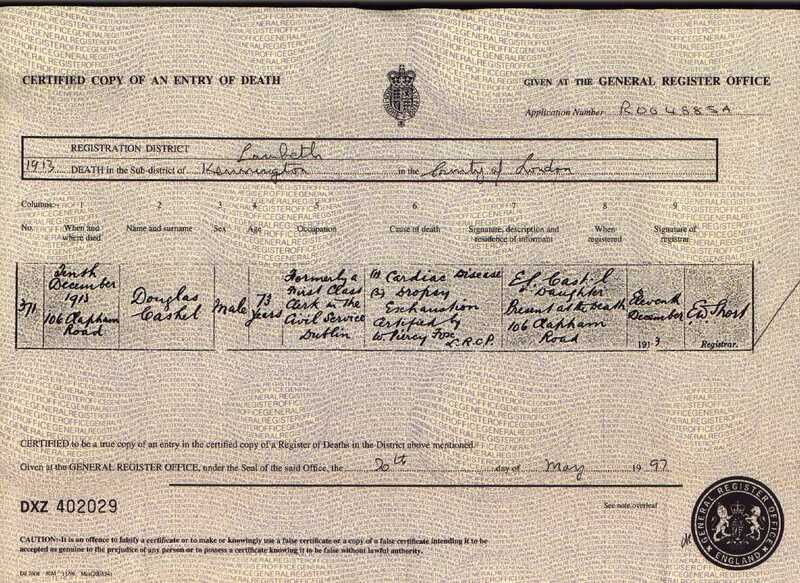 Ellen F. Cashel, born 1897, Hornsey, Middlesex, N side of London (see map). Florence K. Cashel, born 1898, Hornsey. Courtesy of Pat Almond. See full size and original (dark). 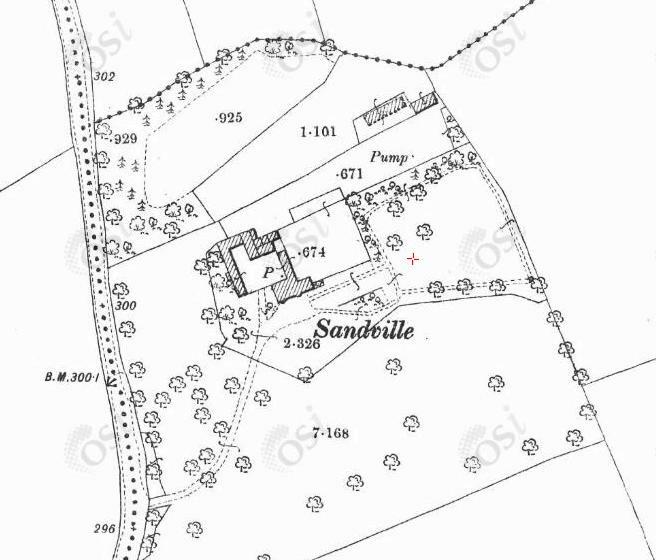 The Cashel house in 1841 was Sandville, near Limerick city. This may be Sandville, Co.Limerick, S of Ballyneety, some distance SE of Limerick city. Sandville, Shehan's Cross, S of Ballyneety, Co.Limerick. The house still exists. It was for sale in 1999, sold 2000. See modern street view of entrance. then staying as "boarder" at 78 The Grove, Ealing, Middlesex, W Greater London (see map). died Mar qr, 1894, Fulham, vol.1a, p.213, age less than 3 months. she is listed as "sister-in-law" of Isaac Winstedt, i.e. sister of his wife Sarah M. --- [born 1849, Oxford].